Far from its rather unfair image as a British ghetto, Mijas Costa is thriving – socially, commercially and culturally. This is thanks in part to the property boom that hit in the early to mid-noughties, when thousands of British and Irish property investors and lifestyle buyers flocked to the area, pushing the expat population past 40 per cent, the majority from the British Isles. Mijas Costa includes, among other areas, El Faro, La Cala de Mijas, Riviera del Sol and Calahonda but basically the swathe of land between Fuengirola and Marbella is pretty much Mijas Costa. As a result of the British and Irish presence in the area, Spanish influences are somewhat diluted, but still noticeable, particularly in the new-build architecture. After all, a mock-Tudor mansion would look distinctly out of place on the Costa del Sol, so most private villas and large apartment complexes have stuck true to their Andalucian origins. 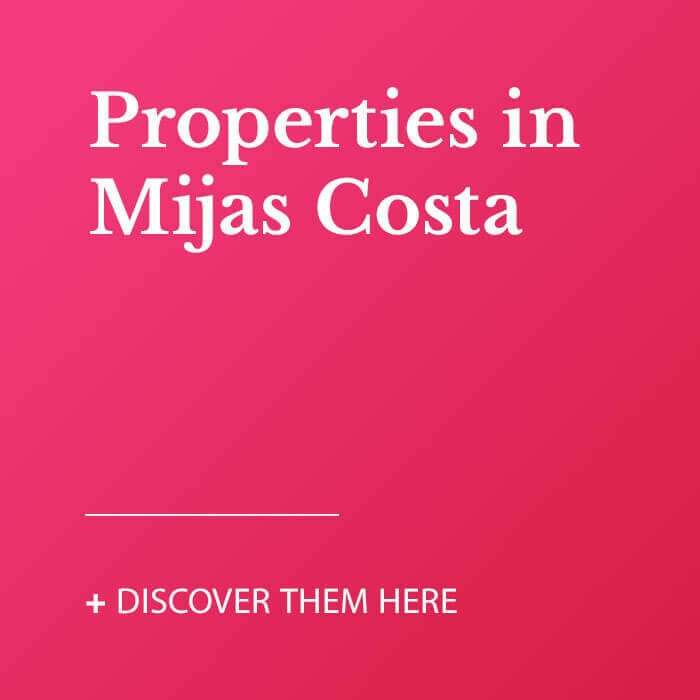 Find a selection of properties available for sale in Mijas Costa. So too has the dining out: Mijas Costa has plenty of excellent Spanish restaurants, where some of the best tapas and paella dishes on the Coast can be found. 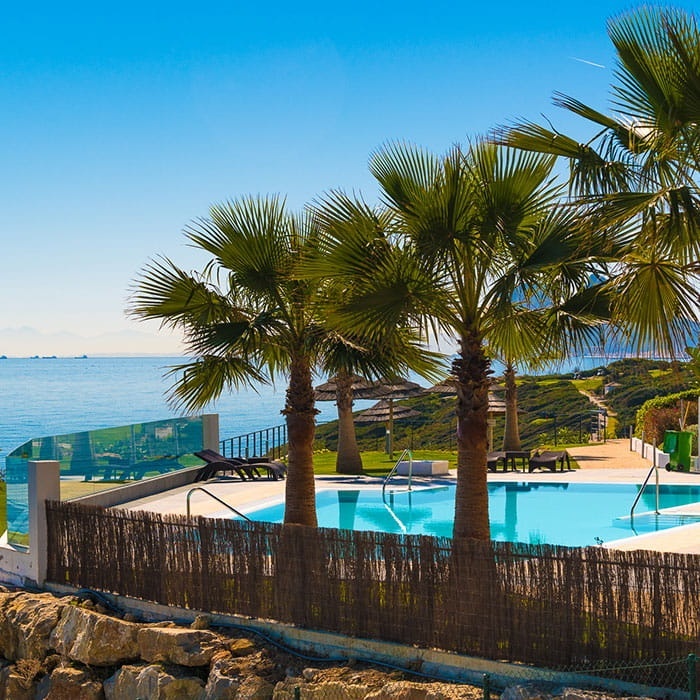 With a varied nightlife, superb beaches, easy access to neighbouring towns and cities and an excellent sense of community, Mijas Costa is a heavenly home away from home for expats. Golf is a major feature of life for the inhabitants of Mijas Costa. The Costa del Sol is renowned as the premier golfing destination in Europe, and Mijas has several world-class courses within a short radius. The magnificent climate and verdant landscape make golfing an absolute pleasure, even for beginners, with the ever-inviting 19th hole at the clubhouse the perfect way to conclude a round. Along the coast, the endless beaches each have their own character, from the rockier, more deserted areas in the eastern part of the municipality to the more popular, softer and wider affairs that are located in La Cala and Riviera del Sol. On the promenades of these resorts wafts the tantalising aroma of grilled fish, freshly caught that morning and delivered to your plates with a minimum of fuss and expense – and maximum taste and flavour. Of course, for something a little less “foreign”, the ubiquitous Irish bars and British cafés serve up every comfort from home you can imagine. Residentially, the peaceful streets and palm tree-lined avenues of Mijas Costa are surburbia personified: delightful homes hide behind high walls and shaded gardens; dog walkers patrol the streets; joggers pound the pavement; and children ride their bikes in complete safety. International schools in Marbella and Benalmádena are close by, and all other manner of amenities are easy to come by too, including shopping centres, supermarkets and sports facilities, while Marbella's Costa del Sol hospital is also located conveniently close by. In the evening, Mijas Costa's diversity of choice makes it a fabulous place for all ages. Children will enjoy the chance to stay up late and enjoy a pleasant family meal, either along the beach or at one of the numerous commercial centres dotted all over Mijas Costa. Everything from authentic Spanish cuisine to Japanese, Thai, Chinese, Indian, Mexican, Argentinian and British can be savoured. Then there are the bars... plenty of them: karaoke bars, Irish pubs, Spanish tapas bars, sleek disco bars, nightclubs and everything in-between – night owls are certainly spoilt for choice in Mijas Costa. Away from the coast, and its main residential centres of El Faro, La Cala, Riviera del Sol and Calahonda, Mijas municipality extends over a vast area into the verdant undulating hinterland on the way to Alhaurín el Grande and Coín, passing through one of the Costa del Sol’s most iconic “white” villages, Mijas Pueblo.